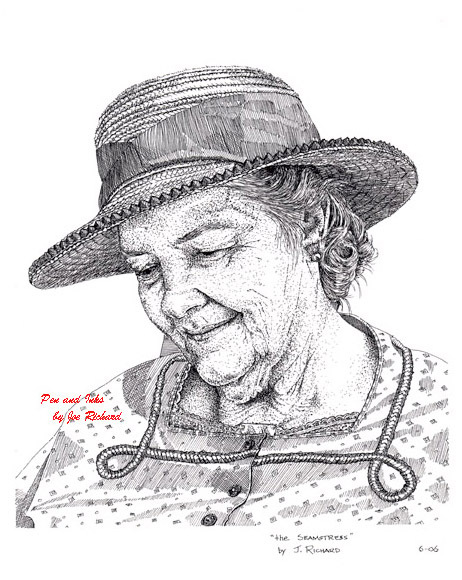 "the Seamstress" is a study in pen and ink of a living history reenactor in the town of Jackson Crossroads, Louisiana near the end of the reenactment season. 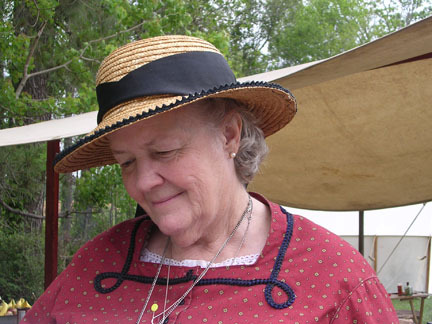 The "seamstress" pictured in this study is responsible for making many of the living historian costumes that were worn during the events in the area. "the Seamstress" utilized technique in line art and stippling to create a dimensional effect to the work. The photo of the "Seamstress" used in completion of this artwork. The photo was taken by the artist and is Copyrighted by him.